The German-born physicist Albert Einstein developed the first of his groundbreaking theories while working as a clerk in the Swiss patent office in Bern. After making his name with four scientific articles published in 1905, he went on to win worldwide fame for his general theory of relativity and a Nobel Prize in 1921 for his explanation of the phenomenon known as the photoelectric effect. 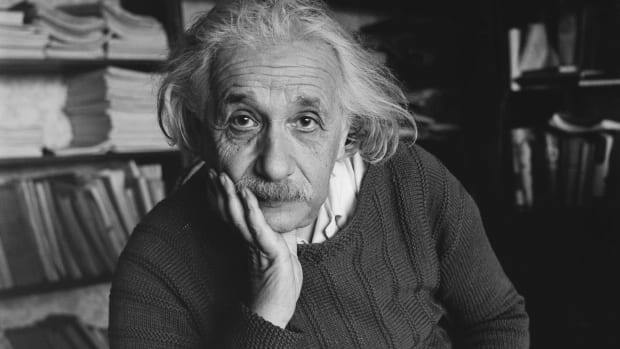 An outspoken pacifist who was publicly identified with the Zionist movement, Einstein emigrated from Germany to the United States when the Nazis took power before World War II. 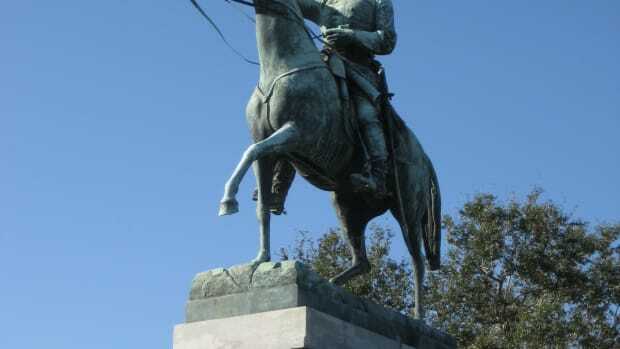 He lived and worked in Princeton, New Jersey, for the remainder of his life. Born on March 14, 1879, in the southern German city of Ulm, Albert Einstein grew up in a middle-class Jewish family in Munich. As a child, Einstein became fascinated by music (he played the violin), mathematics and science. 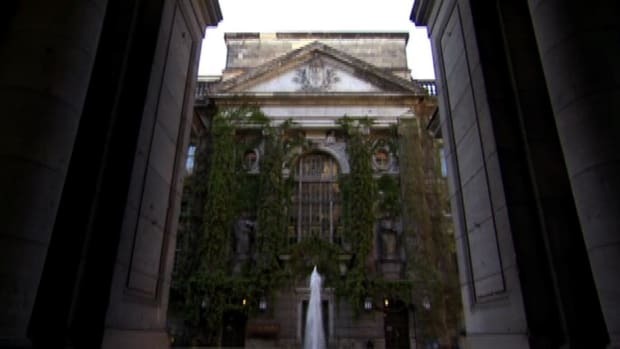 He dropped out of school in 1894 and moved to Switzerland, where he resumed his schooling and later gained admission to the Swiss Federal Polytechnic Institute in Zurich. In 1896, he renounced his German citizenship, and remained officially stateless before becoming a Swiss citizen in 1901. Did you know? Almost immediately after Albert Einstein learned of the atomic bomb&apos;s use in Japan, he became an advocate for nuclear disarmament. He formed the Emergency Committee of Atomic Scientists and backed Manhattan Project scientist J. Robert Oppenheimer in his opposition to the hydrogen bomb. While at Zurich Polytechnic, Einstein fell in love with his fellow student Mileva Maric, but his parents opposed the match and he lacked the money to marry. The couple had an illegitimate daughter, Lieserl, born in early 1902, of whom little is known. After finding a position as a clerk at the Swiss patent office in Bern, Einstein married Maric in 1903; they would have two more children, Hans Albert (born 1904) and Eduard (born 1910). While working at the patent office, Einstein did some of the most creative work of his life, producing no fewer than four groundbreaking articles in 1905 alone. In the first paper, he applied the quantum theory (developed by German physicist Max Planck) to light in order to explain the phenomenon known as the photoelectric effect, by which a material will emit electrically charged particles when hit by light. The second article contained Einstein’s experimental proof of the existence of atoms, which he got by analyzing the phenomenon of Brownian motion, in which tiny particles were suspended in water. In the third and most famous article, titled “On the Electrodynamics of Moving Bodies,” Einstein confronted the apparent contradiction between two principal theories of physics: Isaac Newton’s concepts of absolute space and time and James Clerk Maxwell’s idea that the speed of light was a constant. To do this, Einstein introduced his special theory of relativity, which held that the laws of physics are the same even for objects moving in different inertial frames (i.e. at constant speeds relative to each other), and that the speed of light is a constant in all inertial frames. A fourth paper concerned the fundamental relationship between mass and energy, concepts viewed previously as completely separate. 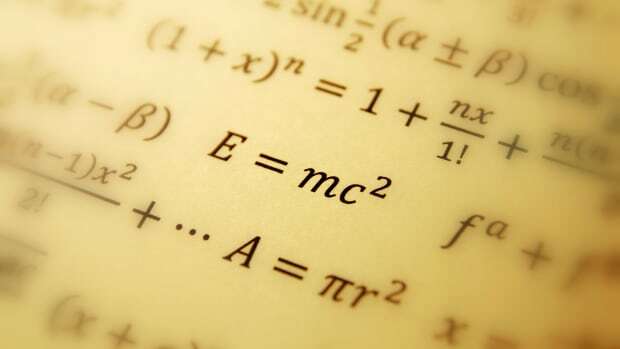 Einstein’s famous equation E = mc2 (where “c” was the constant speed of light) expressed this relationship. Einstein continued working at the patent office until 1909, when he finally found a full-time academic post at the University of Zurich. In 1913, he arrived at the University of Berlin, where he was made director of the Kaiser Wilhelm Institute for Physics. The move coincided with the beginning of Einstein’s romantic relationship with a cousin of his, Elsa Lowenthal, whom he would eventually marry after divorcing Mileva. In 1915, Einstein published the general theory of relativity, which he considered his masterwork. 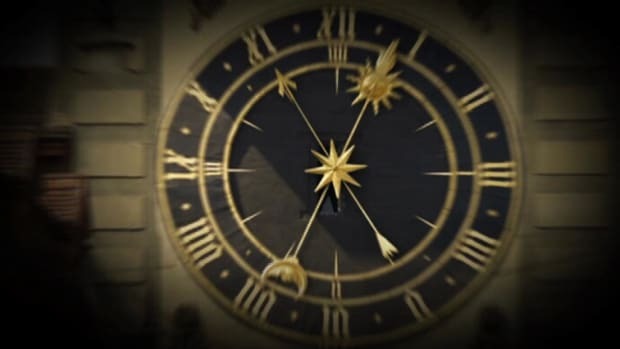 This theory found that gravity, as well as motion, can affect time and space. According to Einstein’s equivalence principle–which held that gravity’s pull in one direction is equivalent to an acceleration of speed in the opposite direction–if light is bent by acceleration, it must also be bent by gravity. In 1919, two expeditions sent to perform experiments during a solar eclipse found that light rays from distant stars were deflected or bent by the gravity of the sun in just the way Einstein had predicted. The general theory of relativity was the first major theory of gravity since Newton’s, more than 250 years before, and the results made a tremendous splash worldwide, with the London Times proclaiming a “Revolution in Science” and a “New Theory of the Universe.” Einstein began touring the world, speaking in front of crowds of thousands in the United States, Britain, France and Japan. In 1921, he won the Nobel Prize for his work on the photoelectric effect, as his work on relativity remained controversial at the time. Einstein soon began building on his theories to form a new science of cosmology, which held that the universe was dynamic instead of static, and was capable of expanding and contracting. 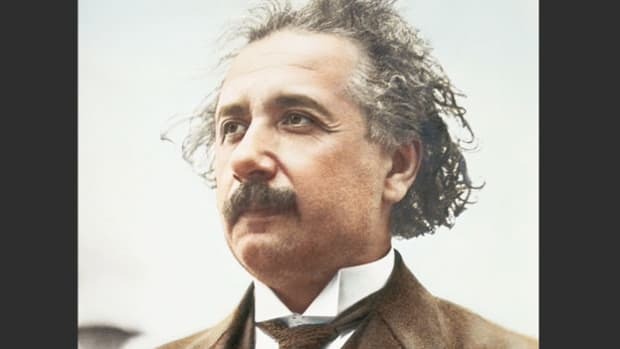 A longtime pacifist and a Jew, Einstein became the target of hostility in Weimar Germany, where many citizens were suffering plummeting economic fortunes in the aftermath of defeat in the Great War. 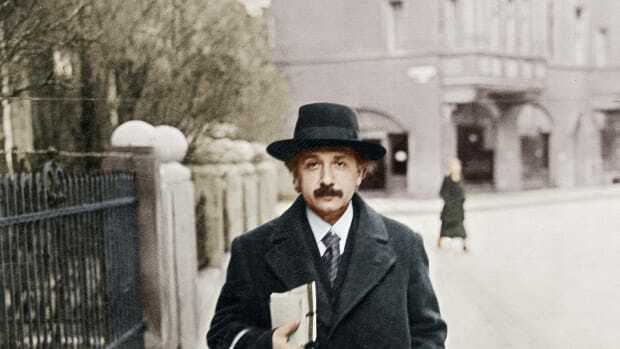 In December 1932, a month before Adolf Hitler became chancellor of Germany, Einstein made the decision to emigrate to the United States, where he took a position at the newly founded Institute for Advanced Study in Princeton, New Jersey. He would never again enter the country of his birth. By the time Einstein’s wife Elsa died in 1936, he had been involved for more than a decade with his efforts to find a unified field theory, which would incorporate all the laws of the universe, and those of physics, into a single framework. In the process, Einstein became increasingly isolated from many of his colleagues, who were focused mainly on the quantum theory and its implications, rather than on relativity. In the late 1930s, Einstein’s theories, including his equation E=mc2, helped form the basis of the development of the atomic bomb. In 1939, at the urging of the Hungarian physicist Leo Szilard, Einstein wrote to President Franklin D. Roosevelt advising him to approve funding for the development of uranium before Germany could gain the upper hand. 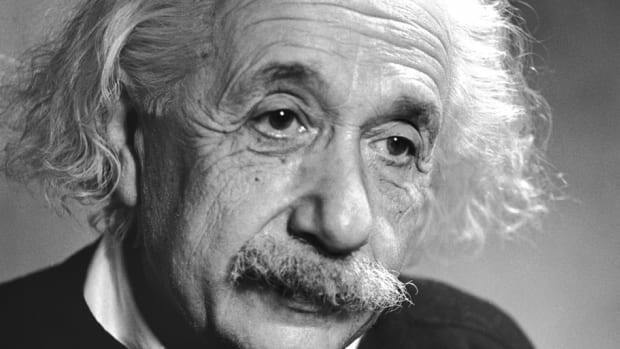 Einstein, who became a U.S. citizen in 1940 but retained his Swiss citizenship, was never asked to participate in the resulting Manhattan Project, as the U.S. government suspected his socialist and pacifist views. In 1952, Einstein declined an offer extended by David Ben-Gurion, Israel’s premier, to become president of Israel. Throughout the last years of his life, Einstein continued his quest for a unified field theory. Though he published an article on the theory in Scientific American in 1950, it remained unfinished when he died, of an aortic aneurysm, five years later. In the decades following his death, Einstein’s reputation and stature in the world of physics only grew, as physicists began to unravel the mystery of the so-called “strong force” (the missing piece of his unified field theory) and space satellites further verified the principles of his cosmology. Albert Einstein: Fact or Fiction?